Do you like what you see here? Get in Touch with us for details. Welcome to Treasured Kittens Cattery. 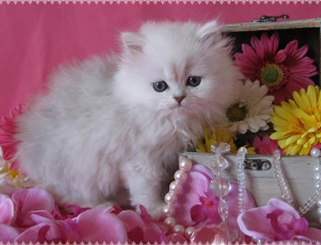 We offer the most delightful Doll Face Persian kittens for sale in shades of white, silver and chinchilla. If you have been thinking about getting yourself a kitten, we offer the most affectionate, fluffy, playful, beautiful and healthy Persian babies you will find. We raise our Persian kittens with love in San Diego . We place our kittens in loving homes throughout the USA. Over the years, we have placed some very special kittens in wonderful homes. We receive so many fabulous Persian kitten photos from our extended family members. We are so happy to share them with you here on our website. They say a picture speaks a thousand words, and our many photos from satisfied kitten buyers really attest to the love and care that goes into every litter we produce, and to our integrity as conscientious Persian cat breeders that put the health, well-being and longevity of our cats and kittens first. We care about our cats and the sweet little kittens they bless us with. Every effort is made to ensure that each kitten gets the best start in life. This includes gentle handling and socialization from birth to the moment they leave us to delight their new families. It also includes top notch veterinary care, superior nutrition, and vet recommended health supplements and grooming products. To say that our Persian kittens are pampered is an understatement, and one of which we are very proud! 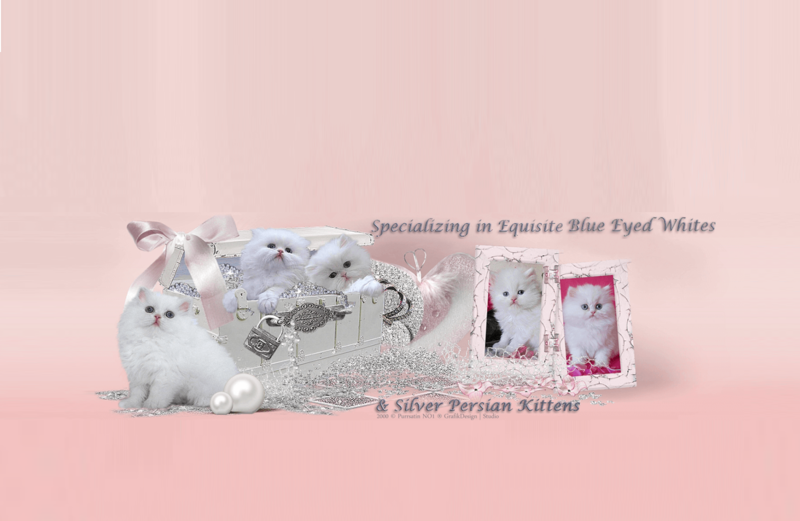 We specialize in the doll faced Persian kittens , in lovely shades of white, chinchilla and shaded silver. Our kitties have an exquisite “china doll” face, rather than the “Peke-faced” style of Persian cat. White Persian kittens, shaded silver and chinchilla silver are very popular among cat fanciers. We love the look of our cats and kittens. At Treasured Kittens Cattery, we have a very selective breeding program and produce only a limited number of litters each year. Our delightful Doll Face Persian kittens are very much sought after, and we maintain a short waiting list for those interested in purchasing a kitten. We take great care in ensuring the safe. stress-free delivery of your kitten to your location. So whether you are located here in California or across the USA, a delightful Treasured Persian kitten can be yours. We hope that you enjoy your visit to our website today as you learn all about the doll face Persian cat breed and meet our kitties. We’re adding new photos and information to our site almost daily. Be sure to bookmark and share our site. NuVet Plus offers an outstanding health product that can literally add years of vibrant good health to your kitty’s life. Halo All Stage Cat food uses real WHOLE meat, protein, or fish, and no “meat meal” of any kind, because cats are obligate carnivores and WHOLE protein, has the essential nutrients. We use only the best when it comes to grooming our Persian cats and kittens. Anna Naturals is just that – completely natural pet grooming products. Ready to Add a Treasured Persian Kitten to Your Family? 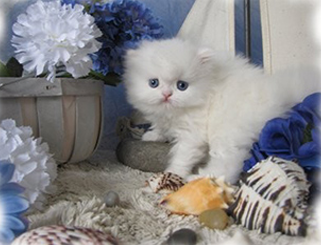 Our doll faced Persian kittens are very much sought after. We maintain a waiting list for those interested in adding one of our little treasures to their family. Whether you are looking for a White Persian kitten, Shaded Silver or Chinchilla Persian, the first step towards a Treasured Persian kitten is to apply for a spot on our waiting list. Of course, if you have any questions about our kittens, upcoming litters, shipping or other, we are just a phone call away at (719) 231-5175. You can also reach us via email. 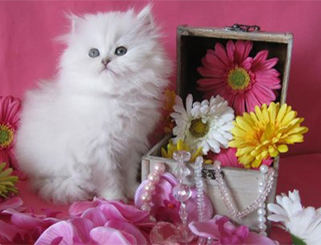 We welcome your inquiry and look forward to speaking with you about our delightful Persian kittens for sale. Contact us now for more information about our kittens!